Women and Technical Writing Writing Assistance, Inc. Most of the time, anything detail-oriented is attributed to men – and technical writing is certainly a detailed task. But some people think that it’s the way that women can be more empathetic that allows them to become better technical writers. A woman is often more likely to see the way another person feels about the information they’re presented, what they might need to know, etc. In this way, documentation can be more effective since it addresses the needs of the reader, instead of just outlining information that is related to the topic at hand. In addition, an argument can be made that since a writer is often hidden from view, and out of public sight, he or she is going to be someone who doesn’t mind being behind the scenes. Is this something inherent to women? Not really, but some women are less comfortable being in the spotlight, making this sort of task ideal. Many technical writers have already noticed the industry filling with women, but what have you seen? 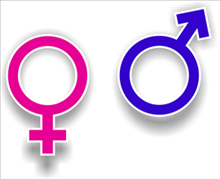 PS – Yes, there are a lot of gender assumptions in this post. But it’s certainly an interesting topic to consider. And to argue. As editor for this blog, I wanted to point out that this post was written by a woman. The generalizations about gender here would probably get a male writer burned at the stake! That’s why I welcome opinions from both sexes. What are your thoughts? Wow! The gender assumptions in this article, as mentioned are not only there, but are completely outdated. I am a technical writer at a large automotive company and can say there are not many women in this building as far as authors go. Women using empathy for technical writing is not what I have found to be useful in accomplishing my daily tasks and I don’t believe it is a contributing factor to the successful output of the other women here as well. THINKING like a technician or engineer is what would come in handier (engineers who, by the way, have many more women in their industry than I have seen in technical authoring) rather than FEELING like the reader is recipe for becoming a successful author. Let’s stop with the whole, “women feel more than men” theory and move on. That just isn’t the case anymore. How many tough women do you know in the world? There are three women in this office (all of whom I talk to often about their ideas while in training) of approximately 30 authors. What these three women possess is the technical knowledge, aptitude, acumen and abilities to produce a quality piece. Let’s not forget the ability to overcome the comments (harmless, but ignorant at times), nipping at the heels while training, conversation topics in the hallway, etc. A girl in this field, I have found, has to be able to “play poker with the boys” so to speak. There is a lot of history behind some of the things stated in this article. Women have been oppressed for many years and now, we are just rising above. Whether we are able to break that glass ceiling or pick up our kids to take them to soccer after school is another story entirely for another conversation. Women in the technical world, hats off to you for contributing to breaking the cycle! ps. I am new to the field of technical writing, but am a feminist. :) There is so much more I wanted to say, but can’t for the sake of running out of time. Thanks for your comment! I figured this would roil the waters. In my (newbie to the tech world) opinion, no, we do not dominate. We are, however, moving upward. Thanks, Angela, for your insight.